A traditional fish market is located at the northern end of the bay right from the beach at the junction with Jalan Tukad Ayung. 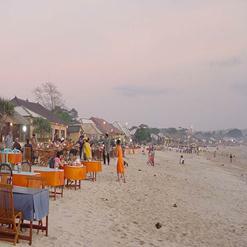 The catch comes in every morning here and customers include most of Bali's fine dining restaurants. There is all types of fish and shellfish are available. Best time to visit is 06:00 to 09:00.